The Monroe County Economic Development Corporation is a unique, not-for-profit organization that is funded by local businesses, and works solely to encourage, promote, and support new and established businesses, entrepreneurs, and even pre-venture startups within the Monroe County region. The MCEDC obviously has a lot of interest in the success, growth, and development of Monroe County, which makes us pretty well suited for each other. Marketicity was brought in to lay out, design, write, program, and launch their website. 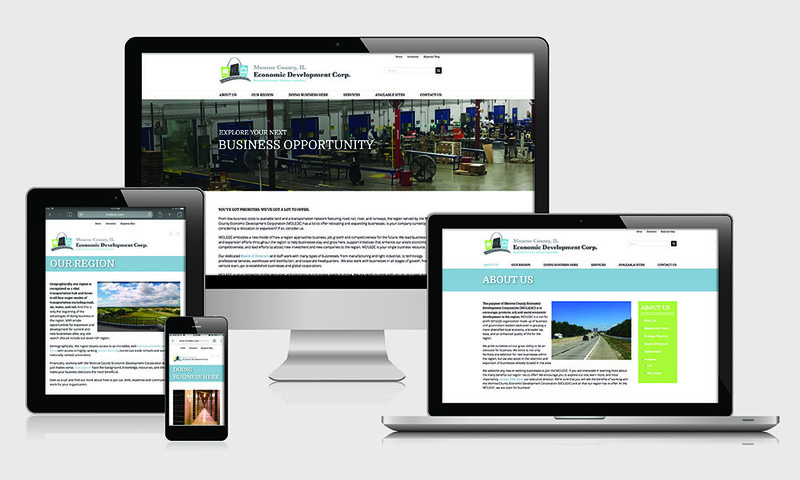 The MCEDC has an impressive offering of services and information they needed to be easily accessible yet not cluttered, and we worked hard to make sure the resulting website was user friendly while still showcasing the ambitious mission and many benefits the MCEDC has to offer.